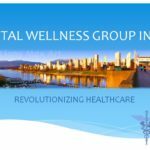 Vital Health Medical & Wellness is a socially conscious integrated care centre that offers medical & wellness services along with classes, workshops and community-driven programming. Vital Health is a welcoming & state-of-the-art integrated medical clinic and wellness centre in the heart of Kitsilano, Vancouver. Vital Health is committed to revolutionizing the way care is delivered and to the creation of healthy, vibrant communities. They offer quality family practice services, as well as wellness care focusing on prevention to support overall health & well-being. These services include: fitness and nutritional counselling, massage therapy, podiatrist, psychotherapy or clinical counselling. Vital Health’s goal is to promote a sound mind in a sound body by also offering a full spectrum of Community Driven Programs, evenings and weekends at the centre.